Sometimes it’s caught on a foggy morning while watching an elegant rider and impeccably groomed horse dance across the dressage arena. Sometimes a young child is infected sitting on a small hill on a spring day. She holds her breath until a passing, galloping horse safely clears a large, wooden jump and charges across the cross-country course like a soldier on a battlefield. Those afflicted dream of being the one on the horse — the confident leader, sharing an extraordinary bond with one of the most beautiful, majestic animals on the face of the earth. Anyone stricken with Horse Fever should immediately seek professional help. The Tallahassee area is home to many accomplished and knowledgeable equestrians, specializing in all disciplines — from eventing, dressage, hunter/jumpers and western to fox hunting and polo. These professionals teach how to safely handle, ride and communicate with these sensitive, sometimes unpredictable, animals. Highly respected and accomplished, Marsha Hartford Sapp offers riding instruction both for children and adults interested in hunter/jumpers, dressage or western dressage at Southern Oaks Equestrian Center. 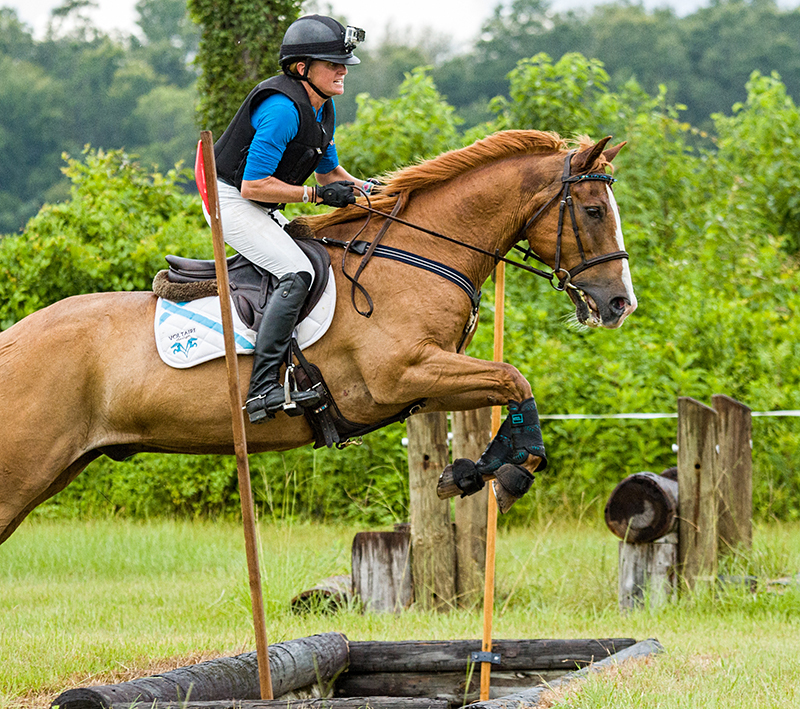 Those interested in pursuing the exciting sport of three-day eventing are taught respect for the horse and trainer by Mahan Farm’s boisterous and fun-loving Lindsay Barrack. Mahan Farm also offers instruction in general horsemanship, jumping and dressage. Kimberley von Stade, who combines a British lilt with a tough-as-nails demeanor, brought her love of the “King of Sports” to Tallahassee 10 years ago when she founded Red Hills Polo Club. She instructs on the full-range of riding from basic horsemanship to competitive polo. Additionally, there are many other instructors in the immediate area who can safely introduce those with Horse Fever to the various riding disciplines. Like most addictions, owning, riding and competing horses take a substantial financial investment. But a lack of money shouldn’t keep an aspiring rider from chasing the dream. Barrack says those just starting out don’t need fancy boots, riding tights or even a horse. Beginning riding lessons cost around $50. Even serious riders have opportunities to mitigate the high costs of the sport. Both Barrack and Sapp have students who work at the horse farms in exchange for lessons, board or training experience. But it does take a significant time commitment. Most instructors recommend riding several times per week. However, it’s not just riding. Barrack explains that her students learn how to catch, lead, groom, tack up and cool down the horses. They learn to properly care for their horse, tack and equipment. “This sport takes dedication and responsibility. It’s not just showing up and getting on a horse. There is a lot of time that goes into preparing and finishing after the lesson,” Barrack continues. The trainers all agree Horse Fever affects all ages, sexes, education levels and personality types. Some children start riding at the age of 4 or 5. On the other end of the spectrum, many people don’t start until adulthood and may continue to ride into their 70s or beyond. One of von Stade’s students learned polo at the age of 68. “She hadn’t ridden since she was 14, but she picked it right up and was hooked,” von Stade says. “(Polo players) have a little bit of (guts) about them,” von Stade says. Most would agree dressage and jumping are somewhat more refined, but these disciplines still require guts, grit and determination. Sapp says successful riders are ambitious and self-disciplined. She often compares riding to martial arts, where energy is channeled from one part of the body to another. Barrack says most of her students have very little in common other than their love of horses and riding. Her students include young children, attorneys, doctors and stay-at-home moms. And a burning Horse Fever.